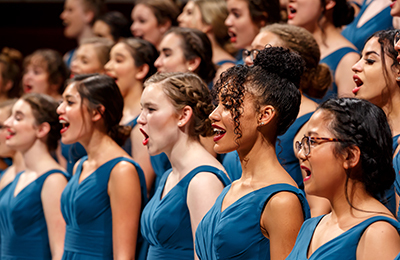 The College of the Arts at Azusa Pacific University offers an innovative arts community firmly grounded in the Christian faith and dedicated to preparing students to excel as talented artist-scholars in visual and performing arts and music. The college houses the School of Music, with bachelor’s and master’s degrees in music; and the School of Visual and Performing Arts, which offers bachelor’s degrees in cinematic arts and theater, a master’s in screenwriting, as well as bachelor’s and master’s degrees in art and design. Offering an array of programs in the creative arts, including visual art, design, cinematic arts, and theater arts. Providing pathways for music professionals to pursue excellence in their craft, growing musically, spiritually, and academically. Azusa Pacific University participated in the 11th Annual Global Game Jam (GGJ), an international gaming challenge which connects gamers from across the world to develop new games over a 48-hour time span. Beginning fall 2019, students can enroll in Azusa Pacific’s new Games and Interactive Media major. Students will learn to build various types of games from a well-rounded curriculum that integrates narrative, game mechanics, art, sound, and more. As the new director of APU’s MFA in Visual Art program, Nery Lemus, MFA, blends his passion for art with his work and life experiences to inspire students.